If you'll notice, my dove is in the sky and my peace is literally 'on earth'. LOL! Oh Ardyth, this is absolutely GORGEOUS. That background is fantastic - i love the fade to white in the middle. The white die cuts look awesome. I am so pleased to have the opportunity to participate as Guest Must for this challenge... Thanks a million for the invite. The soft background gives the feeling of peace, Ardyth, and the raised wings makes the dove actually 'fly'. So fabulous, I Love your peace card! The white silhouette is awesome atop your beautifully blended background. YOur white pieces look fantastic against your blended and spattered background. Fabulous card. This is just gorgeous, Ardyth. 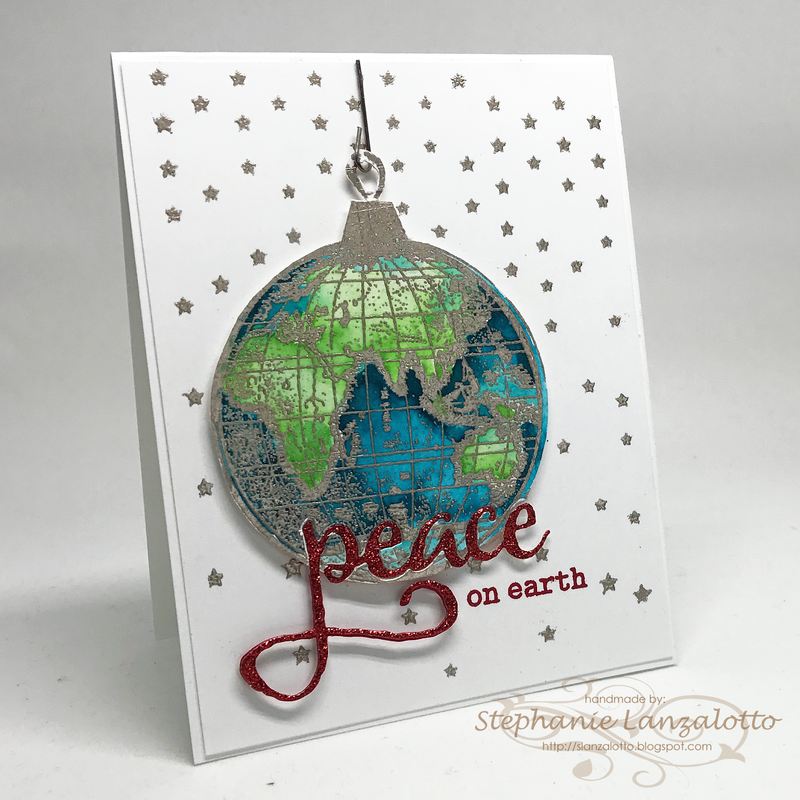 If I had that peace die, I would shamelessly copy your design to add a few more Christmas cards to my pile. Now I will have to think about how to CASE your design using only the EbE dove lol. I love your combination of bold elements - great card! Wow !! You did an awesome job on this card and on this challenge !! A lovely 'peace' card Ardyth, like that you captured the colours, layout, stars too and that dove is just wonderful, love how the wing is 'flying'. The white dove and the large sentiment look terrific with this fresh and vibrant background!